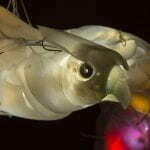 Cynthia Minet, 2014, recycled and re-purposed plastic, LEDs PVC, hardware. “Beast of Burden” features illuminated, life-size, mixed media sculptures and drawings of domesticated animals from Cynthia Minet’s series ‘Unsustainable Creatures.’ The exhibition draws upon the artist’s ongoing reflection on the complicated relationships and dependence humans have with the world we inhabit, and continued interest in scientific and ecological issues. 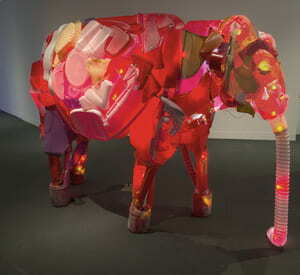 It also emphasizes Minet’s investigation of materials, and her aesthetics in successfully transforming found and repurposed plastic materials into visually compelling mixed media sculptures. 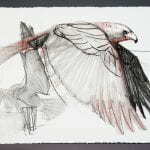 Cynthia Minet’s artworks have been exhibited both in the USA and internationally. 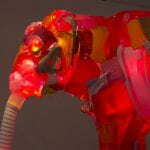 Most recently, her illuminated sculptural installations have been displayed at the Anchorage Museum, Alaska, the Muzeo in Anaheim, CA, the Los Angeles International Airport, UC Riverside’s Culver Center for the Arts, the Huntington Beach Art Center, the Museum of Natural History, Los Angeles, and at GATE Projects, Glendale. International group exhibitions include museum and gallery shows in Venice and Amelia, Italy, Minsk, Belarus, and in several venues in Israel. Her work has been reviewed and featured on the Discovery Channel’s Weird Planet, Wired Magazine, FORM Magazine, the Los Angeles Times, the Anchorage Daily News, the OC Register, and on numerous blogs online. 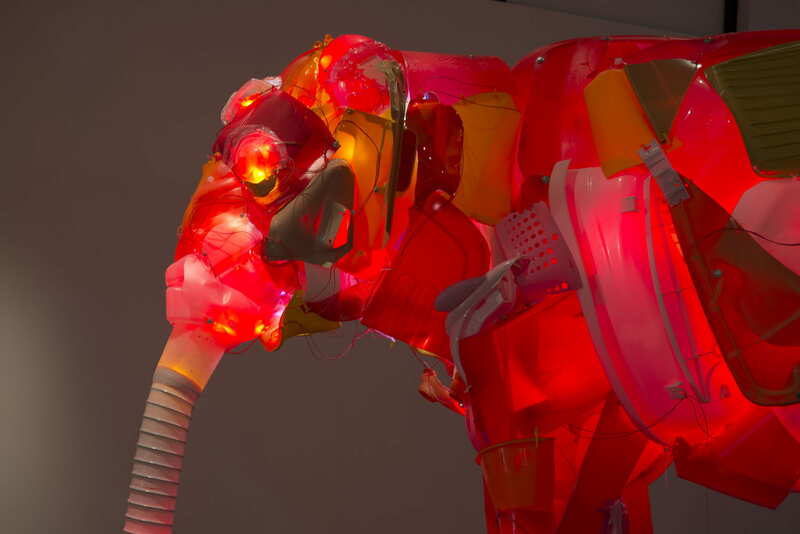 Cynthia Minet, “Unsustainable Creatures: Elephant”, 2014, recycled and re-purposed plastic LEDS PVC, hardware. 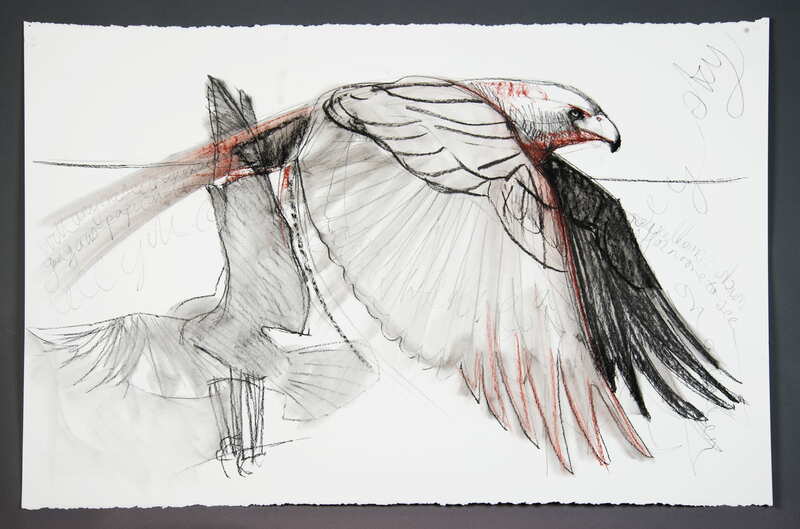 Cynthia Minet, “Falcon Study I”, 2014, charcoal and conte crayon on 100% rag paper. 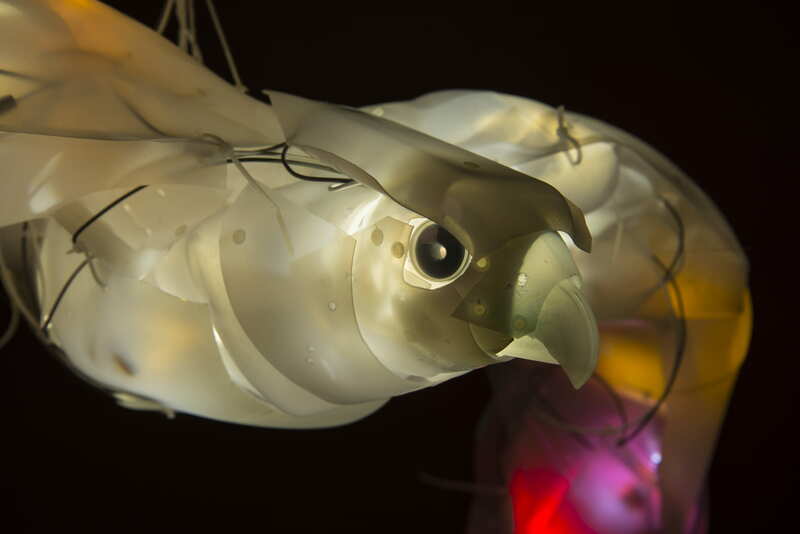 Cynthia Minet, “Predator: Falcon”, 2014, post-consumer plastic, fasteners, LEDs.